According to a report published on Monday, Apple has been hiring executives from biotech companies, with six such executives hired over the last year. A pair of anonymous experts, familiar with the situation, say that Apple continues to look at professionals in the world of medicine and hardware. Many of the new employees are experts in sensor technology. This could hint at Apple's plans to offer more than just a smartwatch that measures the number of steps you take daily, or estimates the number of calories burned doing a particular task. Apple is taking health more seriously than most, as the company is reportedly looking at employing sensors that measure blood sugar levels and other important health metrics. One anonymous executive from a mobile health firm, says that he sat down with a member from Apple's iWatch team. From this meeting, the executive came away with the idea that Apple is building a platform similar to the App Store, that will offer fitness and health services.This would suggest that Apple has plans that go well beyond offering a wearable device. With speculation that iOS 8 will offer a new app called Healthbook, Apple would seem to have already built a location where consumers will be able to store the health-related data about themselves, that they collect using Apple products, including the long-rumored iWatch. Much of Apple's health-related strategies center on an iOS connected timepiece. Apple's new hires hint at what the tech giant is up to. The new employees have medical pedigrees, coming from companies like Vital Connect, Masimo Corp, Sano Intelligence and O2 MedTech. The latter is a bio-sensor company while Vital Connect makes products that track heart rate and body temperature. Masimo is known for its pulse oximetry device that tracks oxygen saturation, giving users a reading on their respiratory system. Apple is also believed to be working on the "Holy Grail," which in this industry is a way to track blood glucose levels without requiring a finger prick or other type of blood draw. While there have been other companies and products that do this, these devices have been clunky, expensive and not terribly accurate. Diabetics require constant monitoring of their blood glucose levels. If Apple succeeds here, it would have another big winner on its hands. Some of Apple's plans require the FDA to get involved. Samsung, which is testing out medical sensors via a partnership with UCSF, is refraining from working on any products that offer a diagnosis or treatment recommendations, since those would require the FDA to get involved. Apple reportedly met with the agency in January, which means that the Cupertino based tech firm might have a broader health initiative in the works than Samsung does. If all goes to plan, an Apple a day really might keep the doctor away. Well its a meh to me but if it helps someone more power to them. Seems they're grasping at straws to provide a solution to a problem that doesn't exist. The most useful thing in that would be the blood sugar monitoring, but a noninvasive method is going to be pretty much useless at this stage. Now it just seems like they put too many eggs in the watch basket and have now resolved to double down because they're too far in. It does sound like they are biting off more than they can chew. If they can pull this off and have a battery that lasts longer than a day, good for them. Pricing is going to be a major factor as well, it sounds more like a medical device than a smart watch. Haven't seen many medical devices yet that are cheap or affordable. Personally, I'm looking forward to the Moto 360 because I want more of a watch instead of a medical device bracelet. Choice is good. They aren't going to market it as a "medical device" though. 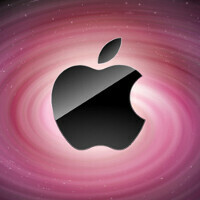 This article is just clearly stating that Apple is in the works of a "true" smart watch. Telling the time in digital, snapping pics, syncing with your phone and all what other current watches have to offer…that's all basic. Throw these features in your watch, with other features and it becomes closer what a real smart watch should be. The Moto 360 will be a success, just like Apples future "iWatch". If they have to have FDA approval, and get it, you know Apple will market this as a medical device. They can't help themselves, taking advantage of every marketing opportunity is what they do. Do you know how many MILLIONS of products go through the FDA just to be able to sell? It's a requirement, and it's part of Apples process in releasing a product. How about you ask yourself "If they have to have FDA approval, I wonder what tech will be included?" instead of being negative? You're assuming I'm being negative. Far from it. I'm being a realist. Any "medical" device released by Apple will be costly, so it's only natural they market the living bleep out of that aspect to justify the pricing. For Apple to release a smart watch with full medical aspects and not tell people about them, is like Lamborghini selling cars and not mentioning they are fast. Apple has to market the medical aspects, if they don't then it's just another smart watch. There's nothing negative about acknowledging that. It is what is is. Doesn't matter, smart watches that are "smart devices" first and watches second will likely fail. The reason people buy smartphones was because it was essential to have that technology. This is an optional purchase no matter how you look at it (unless they can get one of those medical things to be essential, then they have a very small niche). Watches are largely a fashion item and therefore, people will look to form first and then the function. So largely, it won't matter how health or medical this device gets because that is a very VERY small market. What really matters is what they make it look like and I am sure they will make it a square like their new iPhones/iPads with curved/rounded sides (in other words, probably hideous, unless they make it look like a small square/circular 5s with uniform coloring, which would look pretty nice actually). To be honest, they are all niche products. 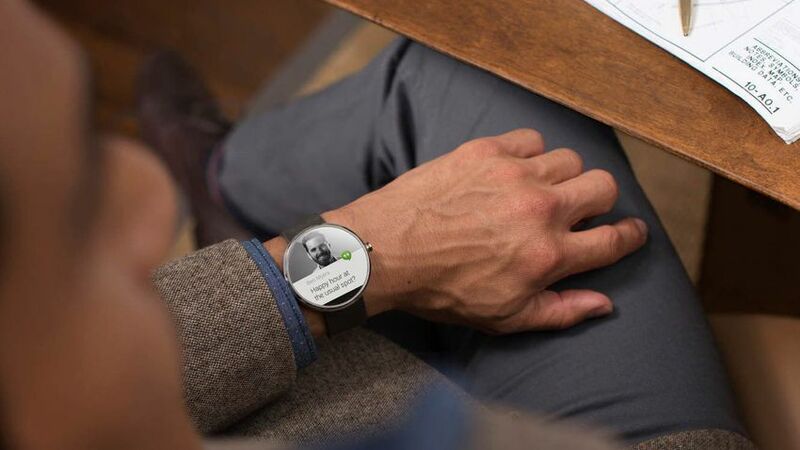 The only one so far that has the potential beyond that is the Moto 360. LG's might, but little is known about it. I wouldn't be surprised if it looks exactly like you described. It would be easier for Apple to use icons on it with it being shaped like a square 5s. It will have a polished look, however they craft it. Small markets don't matter when it comes to Apple. You can look at todays smartphone market. Yes it was bound to happen, but Apple didn't care that there was a small market. Just like the iPhone, the iWatch will cause a smart watch boom, regardless that they weren't the first. I still haven't seen at least one person wearing a SS watch. Ive seen maybe one or two Pebbles. Keep in mind I also live in a large city that also houses a business district that is a miniature NYC. Apple will bring the fireworks, like they always do. no thanks. i'll just wait for the Moto 360. I'm expecting this to be a hit. Good move Apple.